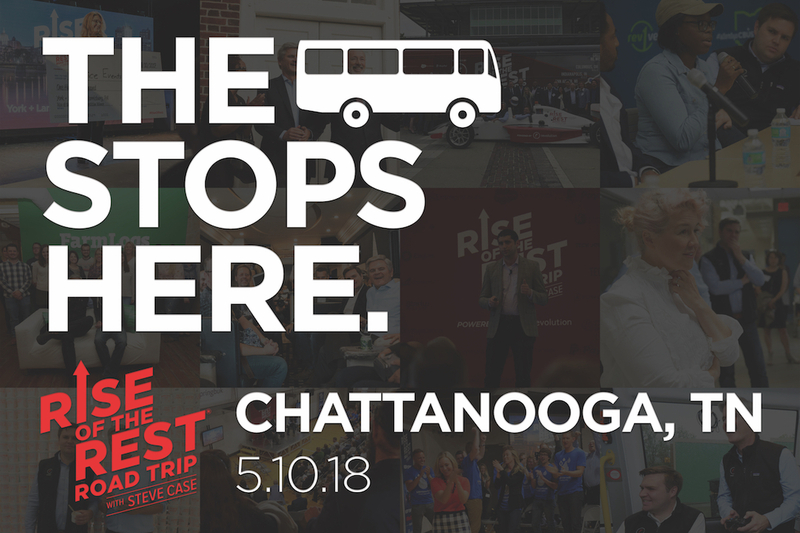 We are thrilled to announce that Chattanooga has been selected as an official stop on the Rise of the Rest 7.0 tour on May 10! Rise of the Rest was founded by AOL co-founder Steve Case as an initiative to support entrepreneurial hubs outside of Silicon Valley. He and others on the tour will be spending the day in Chattanooga, which includes a pitch competition where finalists have the opportunity to win a $100,000 investment from the Rise of the Rest seed fund. Chattanooga startups can apply for the pitch competition through March 20. Learn more about the Rise of the Rest at the links below.